haven’t you had or dreamt to own a pair of Clark Desert Boot along your life? 15 millions sold in more than 100 countries, considered one of the 50 pair of shoes that changed the world. 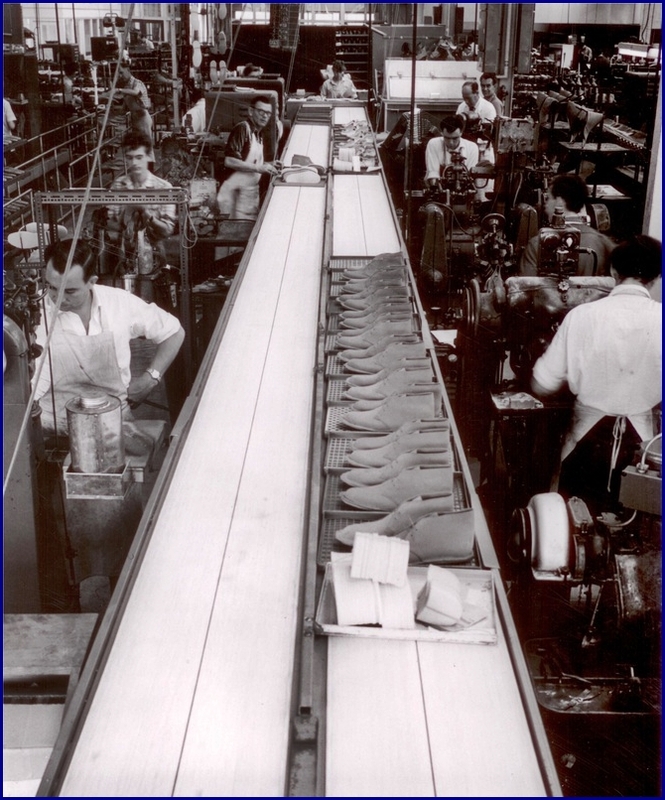 This year is the 65th birthday of their creation and official presentation in the 1950 Chicago shoe fair. 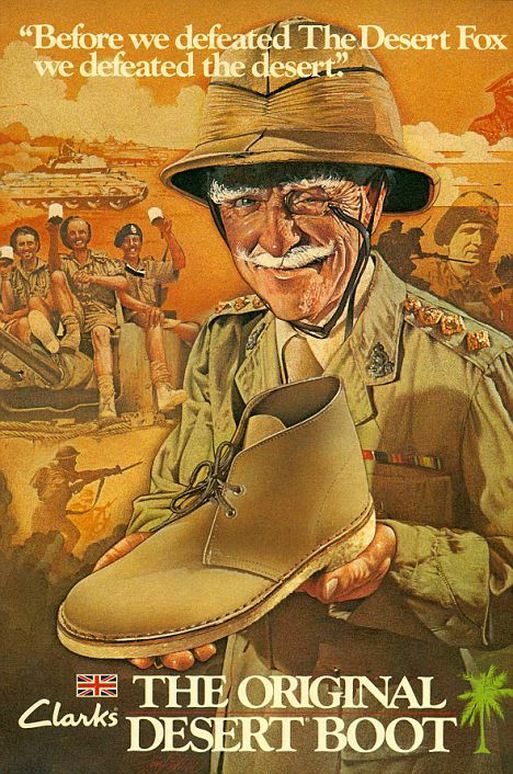 The desert boot are a type of Chukka boot, with some very special characteristics that make them authentic. 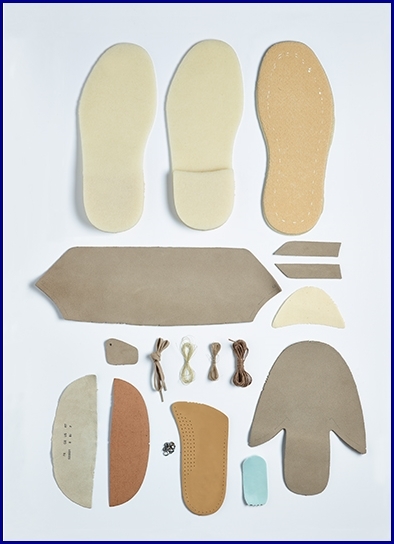 First and foremost, the use of the Crepe for the soles. It comes from latex and not only does it absorb any thump, but it’s also repellent to water. Something that gives it resistance and commodity. The designs are based on one concept: simplicity. Only two cuts are made on the leather, only two eyelets. The whole is sewed with a stichdown structure. 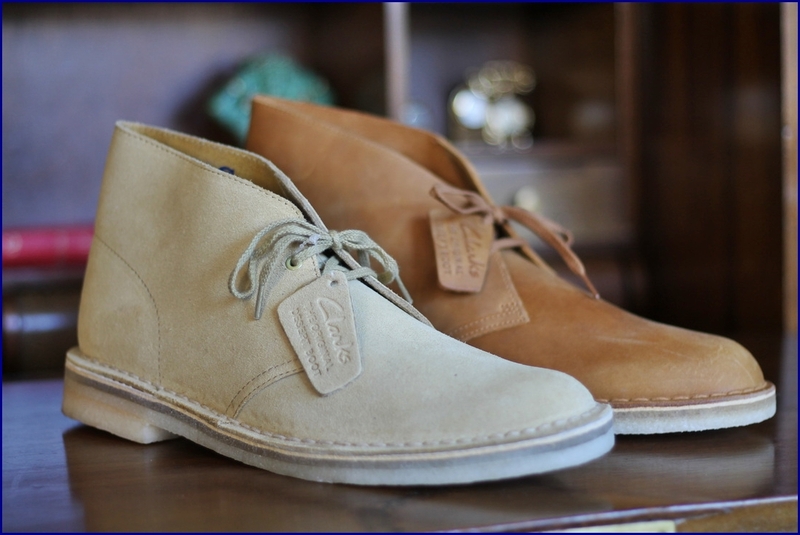 The original Desert Boot was made of suede leather that was provided by Charles F. Stead a tannery founded in Leeds in 1895. For the 65th birthday, a sand suede model was made in order to honor the memory of the original model. 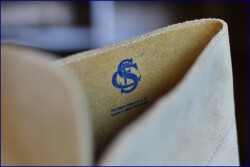 Charles F. Stead is still today one of the most respected tannery in the world. They specialize in tanned of high quality suede leathers and other special leathers with interesting and original textures. From Spring Summer 2015, all the Clark’s Desert Boots will have the Charles F. Stearling logo on the sole. A small detail made to remember not only the history but also the passion for quality products both craftsmen share. Chi non ha mai avuto o sognato di possedere un paio di Clark Desert boot nella sua vita? 15 milioni di paia vendute in più di 100 paesi, la Desert Boot è considerata una delle 50 paia di scarpe che hanno cambiato il mondo. Quest’anno è il 65° compleanno della loro creazione. I Desert Boot sono un tipo di stivale Chukka, con alcune caratteristiche molto particolari che li rendono unici. Innanzitutto, l’utilizzo del Crèpe per le suole. Viene dal lattice e non solo può assorbire qualsiasi colpo, ma è anche idrorepellente. Il suo design si basa su un concetto: la semplicità. Solo due tagli vengono effettuati sulla pelle, solo due occhielli. Il tutto è cucito con una struttura stichdown. L’originale Desert Boot è stata realizzata in pelle scamosciata,fornita da Charles F. Stead in una conceria fondata a Leeds nel 1895. Quest’anno, per il 65 ° compleanno, è stato prodotto un modello in camoscio color sabbiaper onorare la memoria del modello originale. Charles F. Stead è ancora oggi una delle concerie più importanti nel mondo. Sono specializzati in concia di pelli scamosciate di alta qualità e altre pelli speciali con trame interessanti e originali. 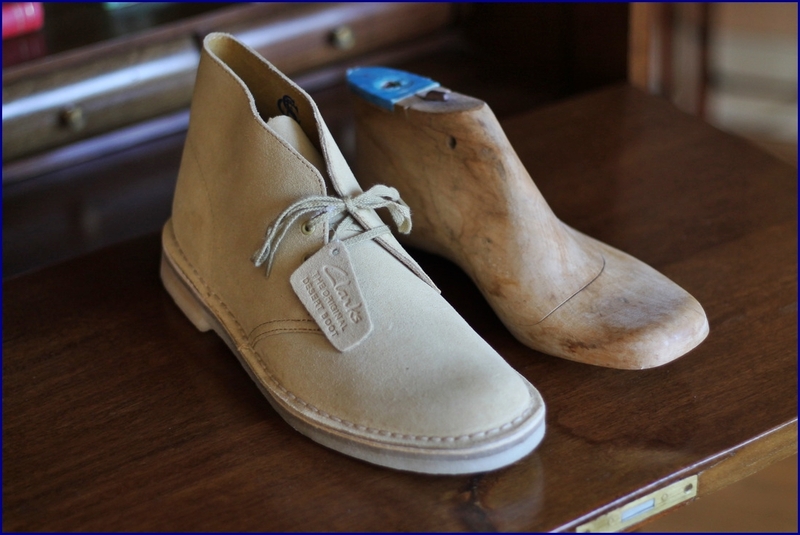 Dalla primavera-estate 2015, tutta la Clark Desert Boots avrà il logo Charles F. Stearling sulla suola. Un piccolo particolare fatto per ricordare non solo la storia, ma anche la passione per i prodotti di qualità.